So, you want your cake and to be able to eat it too. And who can argue with that, after all, it is your wedding. However, if you don't have a lot of experience with wedding bakers or cake options in general, the road to finding the perfect wedding cake for your reception can be a winding and uneven path. If you do a Google search for wedding cakes or wedding bakers in the Atlanta area, you will begin to understand the enormity of your task. Check out some of the information below and we might be able to help you down the bumpy road to a final destination. Start by gathering as much information about the wedding cake business as you possibly can. There are literally hundreds of options. We suggest you start very early looking because some of the better cake bakers have their schedule fill up very quickly. You want to begin by looking for inspiration. Look at a number of wedding magazines in print and online. Do a Google search for wedding cakes and just look at the pictures that pop up. Visit bakeries that do a lot of weddings. Look at their displays and their catalog. We suggest that you try and become a quasi-expert in types of wedding cakes. 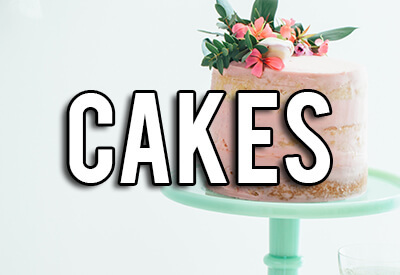 Read all you can take in about styles and types of cakes that are possible. There is, of course, the traditional kind of cake, but also many alternative styles have grown in popularity in recent years. For example, something called the cupcake wedding cake has become the preferred cake by lots of couples in recent years. Each cupcake is a different flavor and each one sometimes includes a variety of decoration like symbols, flowers, initials, etc. Another option that many people are gravitating to is something called a cheese cake. This is a number of layers of cheese with a large one as the base and smaller ones stacked in order to create a tree affect. Some couples have even chosen to really throw tradition out and go with a theme cake like Star Wars, manga, or anime. Its really up to your choice and your style, we just wanted you to be aware that the sky is the limit. Most people need to work off of a budget. Decide how much money you are comfortable with in terms of buying a cake and the services of a baker. Here is another area where some research will really help you in order to avoid sticker shock. Ask for quotes from potential bakers and also discuss if they have any discount options. After some diligent research, visit the bakers that you seem to gravitate to. Look at their portfolio of wedding cakes. Ask to taste a cake you are interested in. Make sure you take your time when comparing all aspects of each bakery. Show them your ideas and discuss them. Ask if they can achieve what you are looking for within your budget number. If they say they can, then hire the one who has passed all of the criteria listed above and leave the baking in their hands.